The former Chairman of the Presidential Task Force on Pension Reforms, Mr. Abdulrasheed Maina, has explained that he went into hiding to save his life from pension thieves who vowed to silence him for asking the former Minister of Finance and Coordinating Minister for the Economy, Dr. Ngozi Okonjo-Iweala, to stop multi-billion naira monthly allocations being shared by the thieves under the guise of paying pensioners. Maina, who spoke to Berekete Family, an Abuja-based Radio Show anchored by Ahmed Isa, which could not be authenticated, said he was ready to come out from hiding to spill the beans with relevant documents if President Muhammadu Buhari would provide him adequate security. The former pension boss recalled that his car was shot at three times and the windows shattered when he was returning from a meeting with former President Goodluck Jonathan and Okonjo-Iweala where they discussed about the money recovered by his task force. According to him, what saved him from the attack was that Jonathan had earlier directed that he should be given a bulletproof car after he had complained to him about strange text messages, which threatened his life. 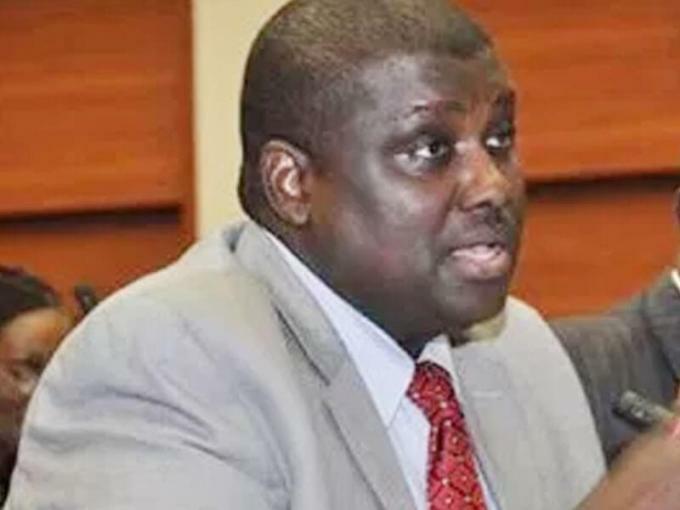 Maina denied stealing pension money, saying that his task force did not have or operate any account and challenged anyone with proof that he was given any government money to present the proof to Nigerians. “To start with, I did not take anybody’s one kobo and nobody has ever given me one kobo in Nigeria. Nobody has ever given me budget; nobody has ever given our office N10. The Office of the Head of Service (HoS) has always been in charge of our task force. Our task force include: 15 officers from the EFCC; 15 officers from the ICPC; four officers from DSS; two officers from NIA; 15 officers from the office of HoS; three officers from the Accountant General’s Office; three officers from the Auditor General’s office; two officers from the office of the Attorney General and Public Complaint Commission and some representatives of the National Association of the Nigerian Pensioners. I was only the head. Anything that happened in that task force must be endorsed by all these agencies before it is brought to me to endorse. So, why is it that people are calling Maina, Maina and not calling the task force? The reason is that I refused to bend backwards,” Maina explained. Maina challenged anyone – whether the budget office or the ministry of finance that has ever given him money to show the proof to Nigerians. He said instead of appropriating government’s money, his task force recovered N282 billion, which Okonjo-Iweala lodged at the Central Bank of Nigeria (CBN), when the present Emir of Kano, Alhaji Muhammad Sanusi was the governor. “This money, I have never seen in cash; I only see in paper. So, how did I come across the money? If there is anybody with proof of how government gave me money or how money entered into my account, let the person show the proof. People are talking on the newspapers. All this is because of the following: My team was asked to go and restructure the Police Pension Office. We went to the Police Pension Office and we found out that they were taking N300 million every morning. I reported to the Minister of Finance and asked her if she approved N24 billion for payment of police pension arrears and she said ‘yes.’. I told her that the money was not being used to pay police pension arrears and that N300 million was removed every morning and these are the people that were removing the money. The matter was referred to the EFCC and ICPC,” Maina said. “The second thing was that they were allocating N1.5 billion every month for police pension. We found out that the actual amount was N488 million. That means that they have been stealing N1 billion every month for so long. Definitely, I will have enemies. We had to ask the Minister of Finance to stop these payments,” he added. Maina also stated that his team carried out biometric exercise, stressing that the exercise was approved by the Head of Service and not him. According to him, all the agencies represented in the task force participated in the exercise. “The task force never had or operated any account. It is the people who stole money and that are being prosecuted are the ones that paid money to the media to rubbish my name. They are rubbishing my name because they are afraid that if Maina is around, Maina is going to reveal a lot of things. We blocked leakages in government and saved billions of naira for the government. We created e-payment and gave pensioners smart cards. That way, a pensioner will go and verify himself at his own time instead of lining up every month and dying in the process. We found out that the payroll of the Head of Service was N5.12 billion but the actual was N825 million. So, why should Maina go and tell the Minister of Finance to stop sending N5.12 billion? That was my crime because this money was being shared all over,” Maina explained. He also recalled that his car was riddled with bullets when he was returning from a meeting with former President Jonathan and Okonjo-Iweala where the money recovered by his team was discussed. “I had complained to the president and they gave me bullet –proof car. The car is still in the villa. When I complained to the police, the reply by the police was signed by the present Inspector General of Police. I had to go under because of the threats to my life. So, I went to court,” he added. When asked if he would come out of hiding and spill the beans if President Buhari provides the necessary security for him, Maina said: “I am ready and half of those people will run away and leave Nigeria. “I tell you this and that is why I am being persecuted. The former President is alive; the former Minister of Finance is alive. Let them go and find out about the money Maina recovered. How can they say there is no money to pay pensioners? It was during my time that we went and got approval for 53 per cent increase in pension. With the money we recovered, they were able to pay the 53 per cent increase. We recovered N282 billion. How many pensioners do we have in Nigeria? Secondly, because of the information I gave to the security agencies, they recovered N1.6 trllion from the security agencies,” he said. Speaking on why he shunned invitation by the Senate, Maina stated that he had earlier honoured the lawmakers’ invitation but was shocked by the treatment given to the pension thieves by the Senators. “The pension thieves were being given tea in the Senate Chambers while I and Lawode were inside the dock. So, the thieves were with the Senators,” he added.